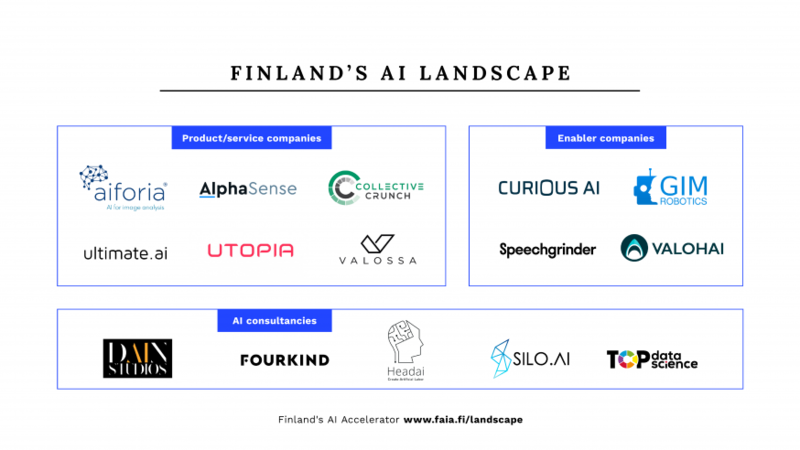 The AI Landscape list, curated by Finland’s AI Accelerator at Technology Industries of Finland, was published today. 15 Finnish companies met the criteria for top companies providing AI solutions. “Finland has lacked a reliable and up-to-date list of artificial intelligence companies, which could be used, for example, by parties looking for AI application partners or companies to invest in. Finland’s AI Accelerator wanted to maintain such a list, which had already been outlined by various parties. This is the story behind Finland’s AI Landscape,” says Antti Poikola, one of the persons responsible for Finland’s AI Accelerator.